← 2014 sewing planes – how did I do? 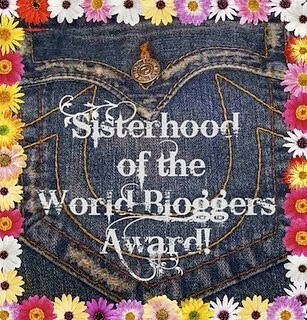 HSF14 Round-up – did I make it? In my last post I counted down everything I made through out the year, and now I will do the same for the challenges of the HSF14, to see if I managed to stick to the plan. In the beginning of 2014 I wrote down all the challenges to come and everything I wanted to make during the year. Then I puzzled and pieced it together, leaving some challenges empty to make room for changed costuming needs and different inspiration. Lets take a look on what I sad I would do, and what I actually did. 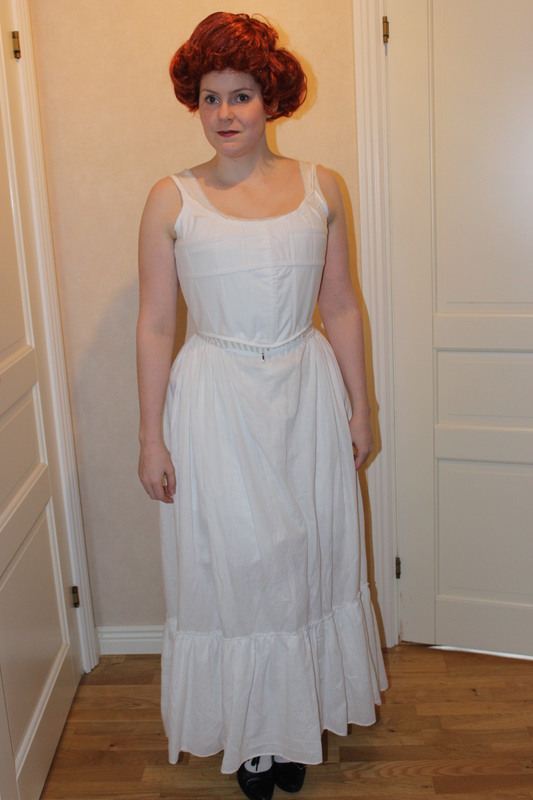 1880s petticoat from two sheets. 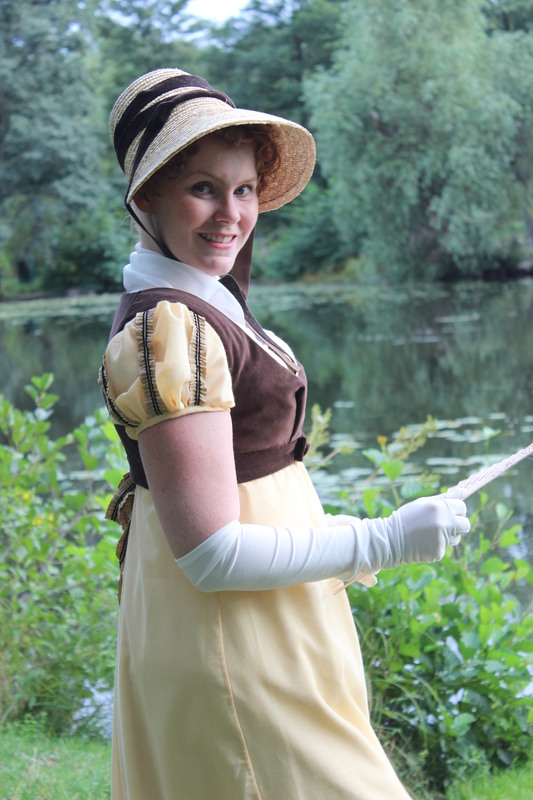 Alterations on a 18th century jacket. The first challenge had already ended when I did my list/plan, so it’s not quite fair, but I think I did pretty good. 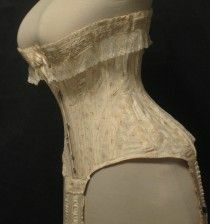 A 1880s corset made with busk, spiral steel and grommet. 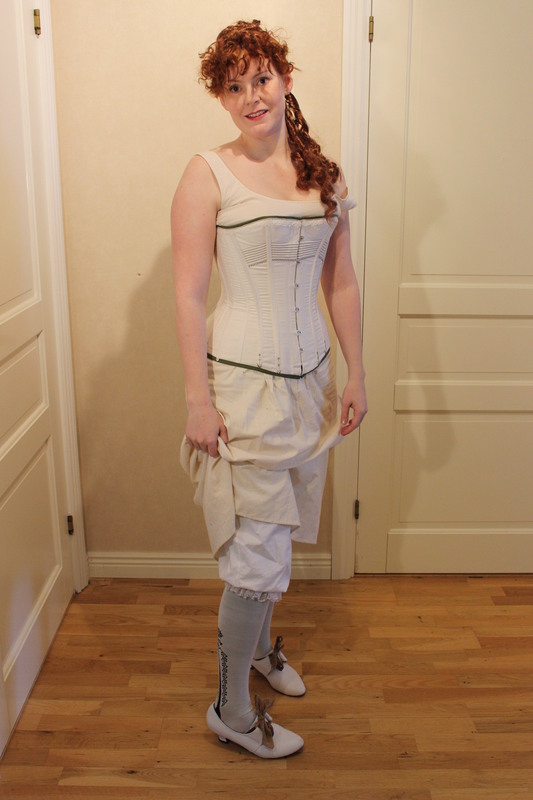 The corset was all but finished when the challenges was announced, and I did stretch the challenge dead line a bit to make it work. 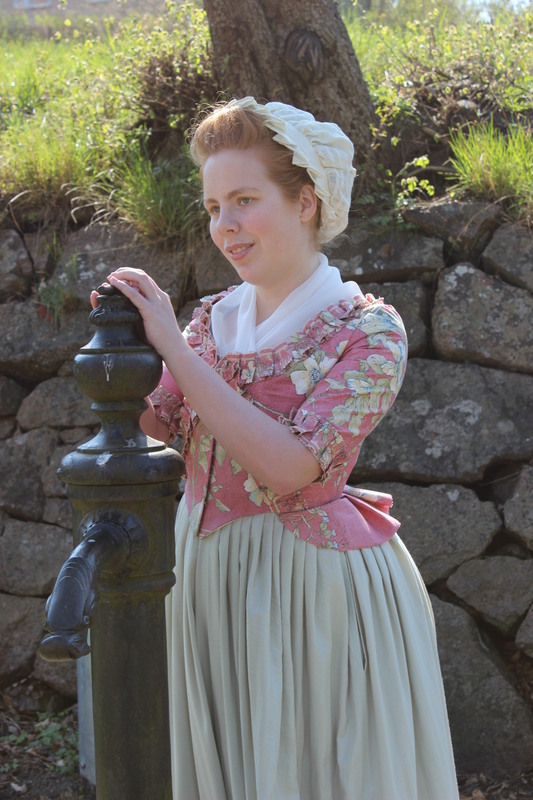 Pink: A 18th century calico jacket (this one depends on how I feel when I get the fabric (which is still in my inlaws basement)). Ufo/Pdf: I’m not sure about this one, will have to wait and see. Hopefully I can use some of my stash, and perhaps do something for one of my sisters. 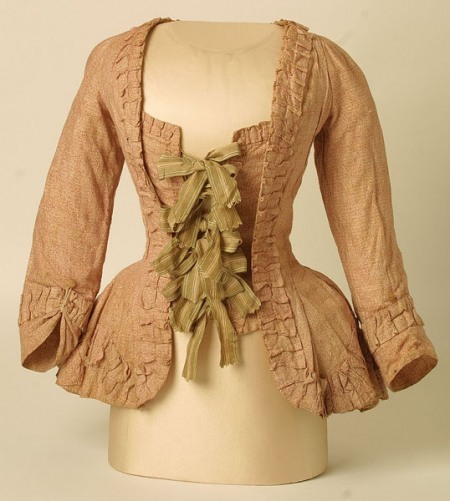 A pink 18th century Caraco jacket and pistage skirt. I did managed to make a complete outfit for my sister on these two challenges. Unfair since I didn’t had any ideas before hand. 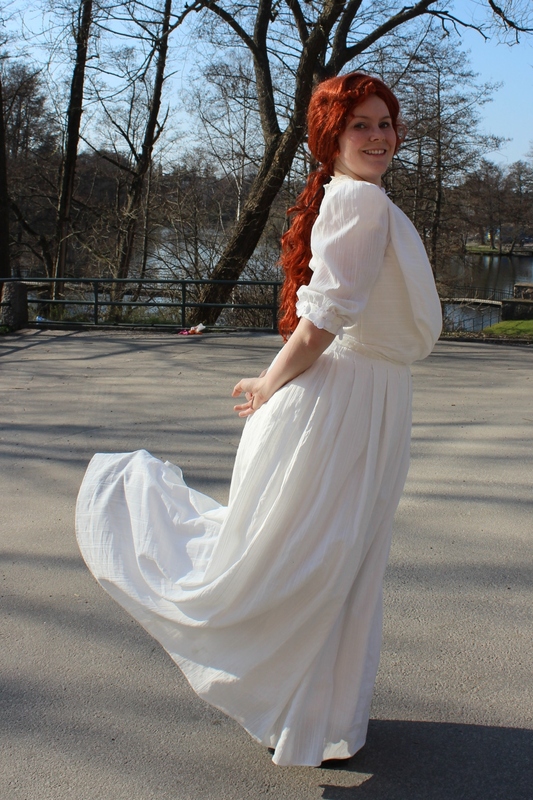 A 1900s white gown, inspired from the “Ariel” design together with some real pictures, and a big lovely hat to match. 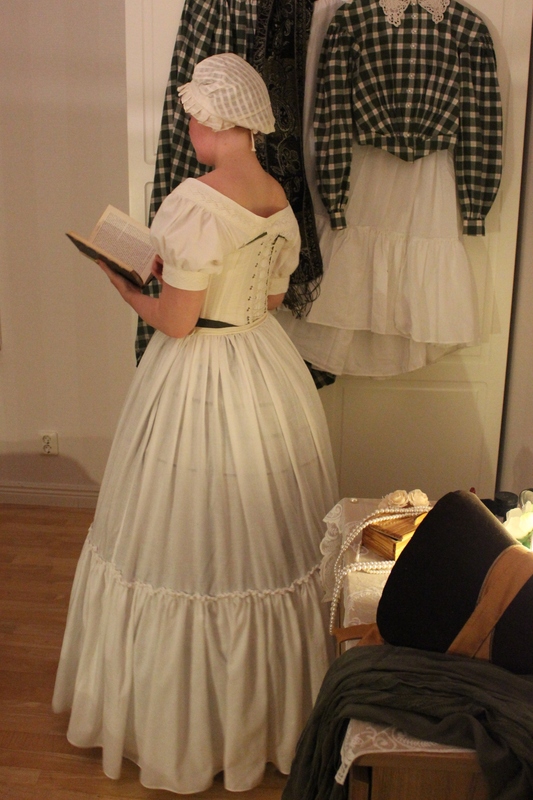 I think I got the right fabric for this gown, and now that I got lots of lace as well, I should just go for it. 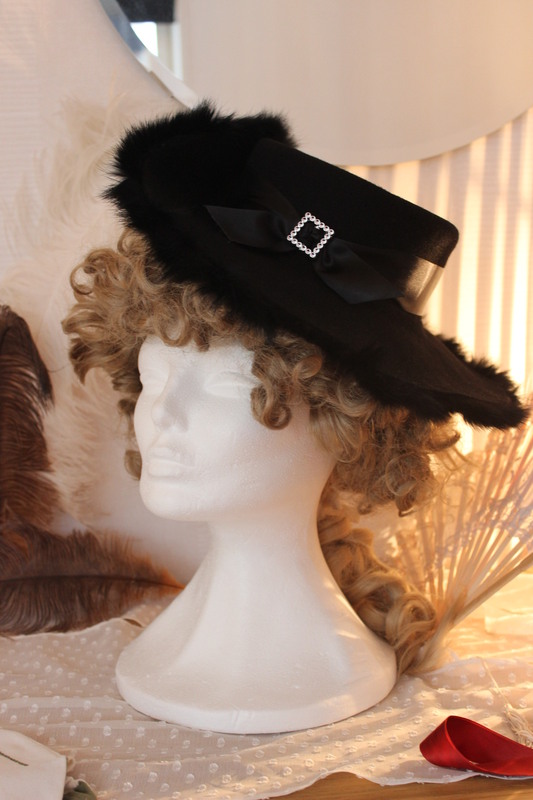 A 1900s picture hat, to be worn with the Ariel (later Camille) gown. 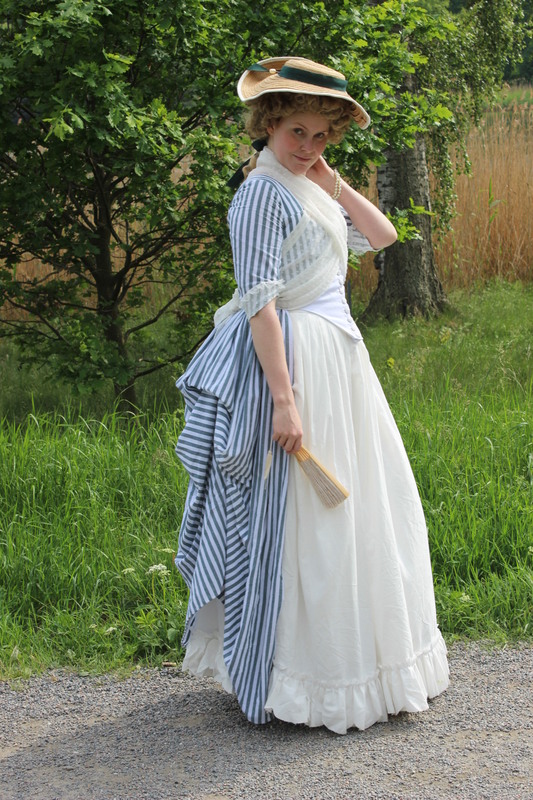 A white skirt and a striped Angalise in the same fashion as the painting. Complete: Yes, plus a bonus entry. 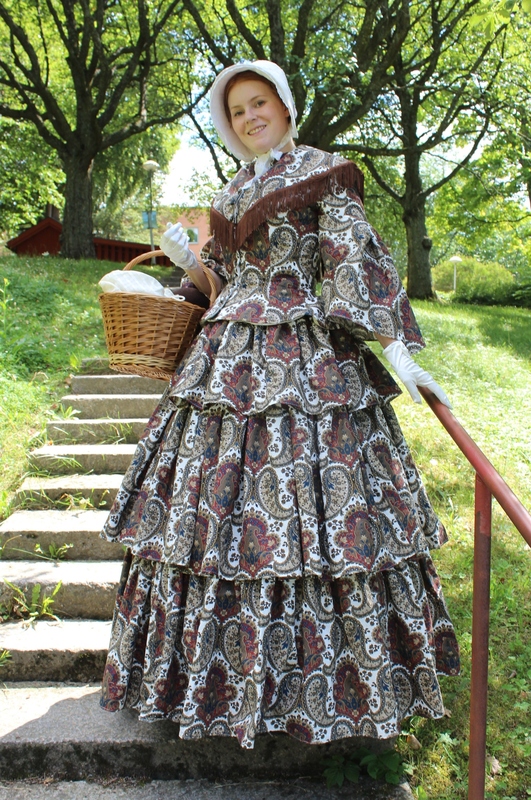 I have two bedsheets in brown/paisley which I bought with a dress like this in mind. 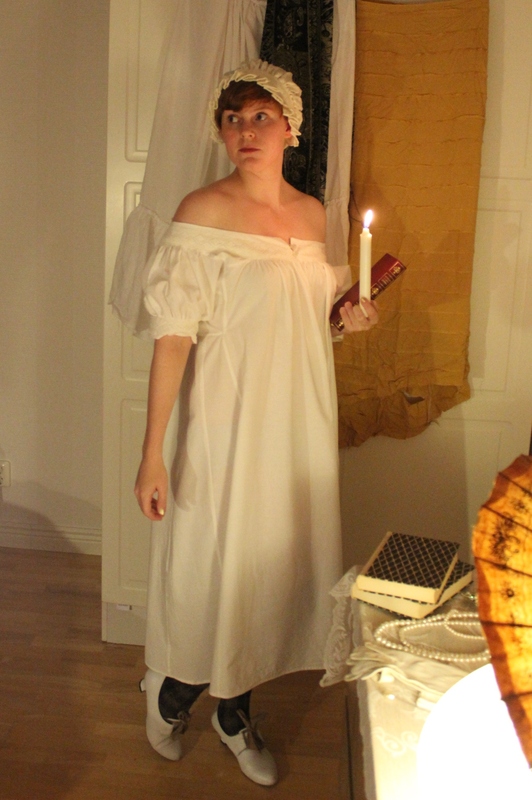 I think this challenge can be lot of things, like a chemise, a fichu, a hat or some other accessories. I will wait and see what I will need at the time. 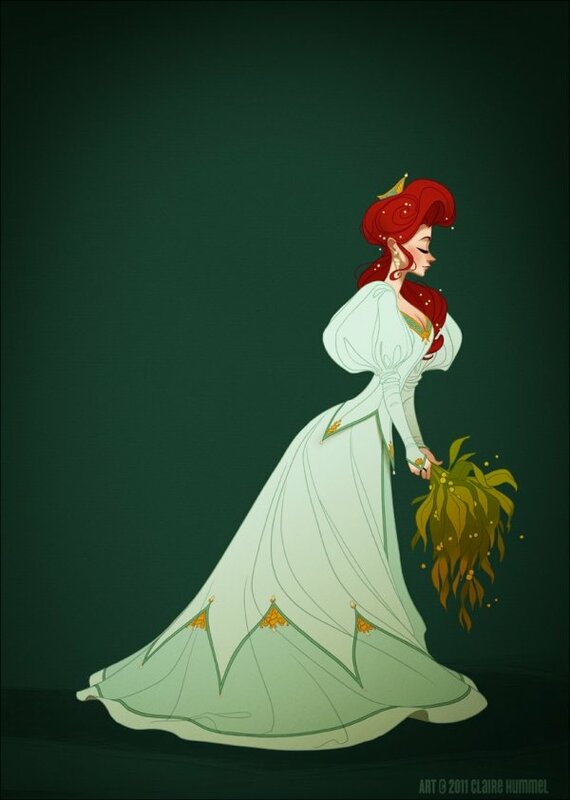 But I think it will have to be pretty quick and simple, since the next one will take some extra time. Complete: Yes, and a bonus entry. Complete: No, not even close. 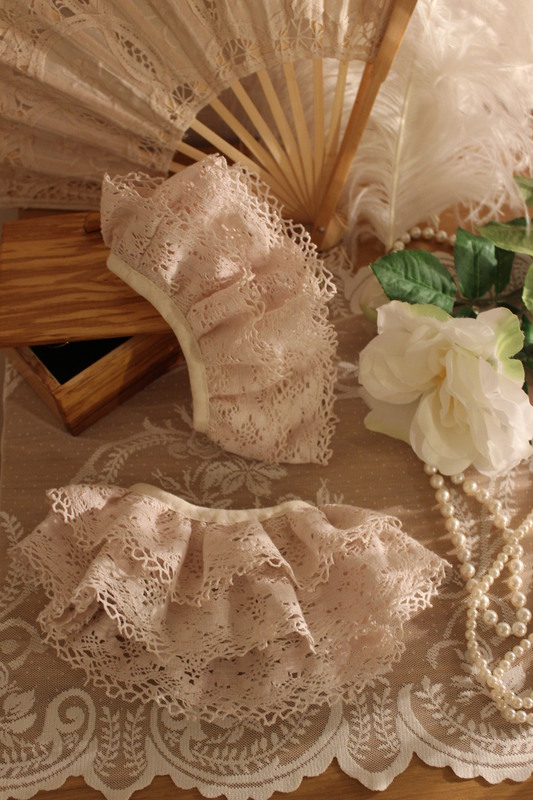 a pair of 18th century stays. 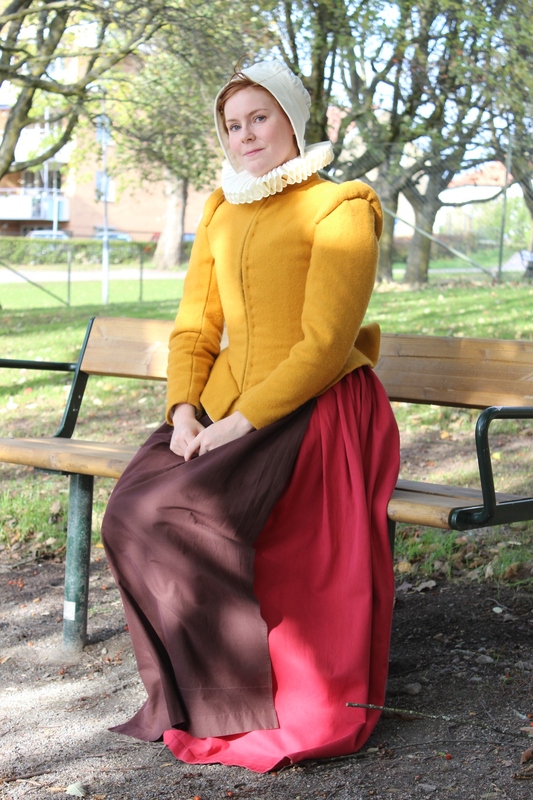 a 1550s doublet in yellow wool. Complete: No, even though I meant to do the open robe up until the last second. Then I found yellow wool and quickly changed my mind, and I did state that the outcome of this challenge would be based on what fabric I would get. 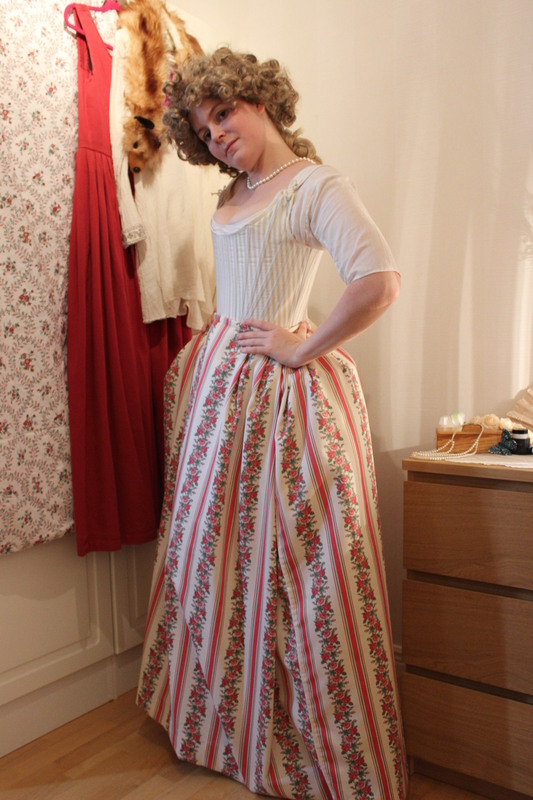 a 1770s skirt/petticoat made to be worn over pocket hoops. 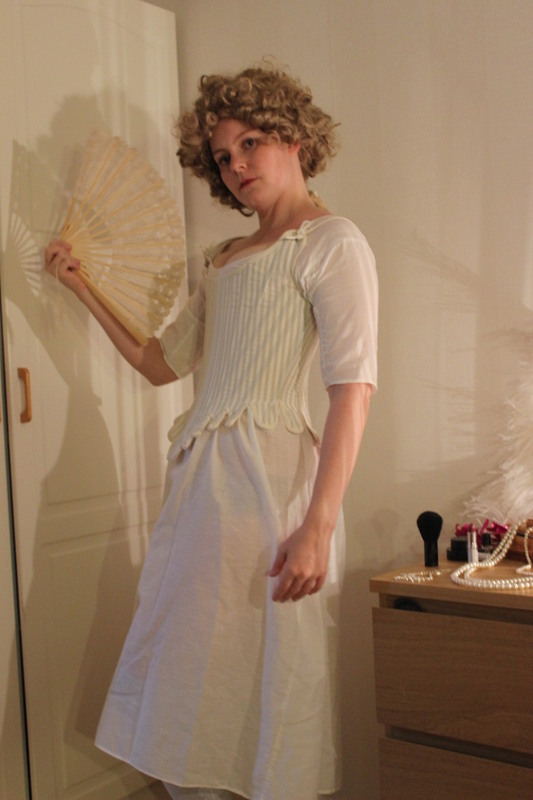 Complete: So so, not a complete robe, and not in the intended fabric, but 18th century and flower fabric it is. I’m sure there will be lots of inspiration in the “HSF” folders by then, but right now I have no idea. Complete: Yes – I’m quite a cheater making something so simple from a non specified challenge. 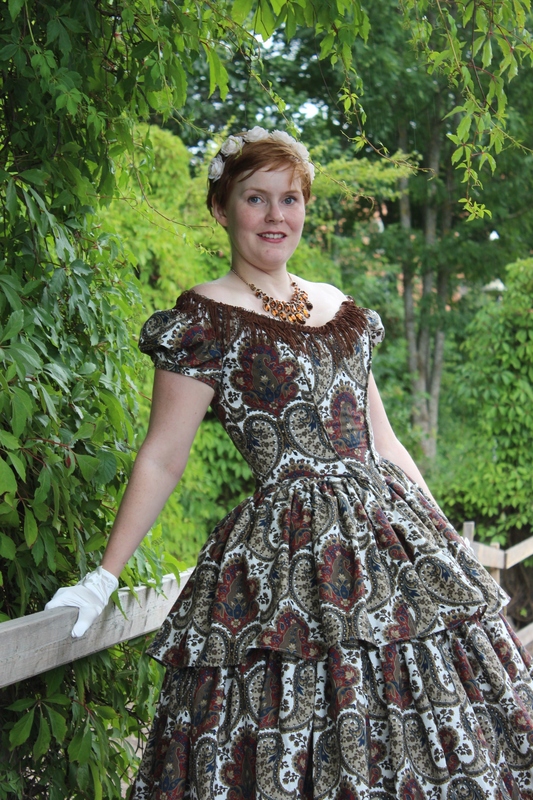 Maybe some steampunk or halloween dress. I like them both, but are not sure I will be able to make any of them. Complete: No. 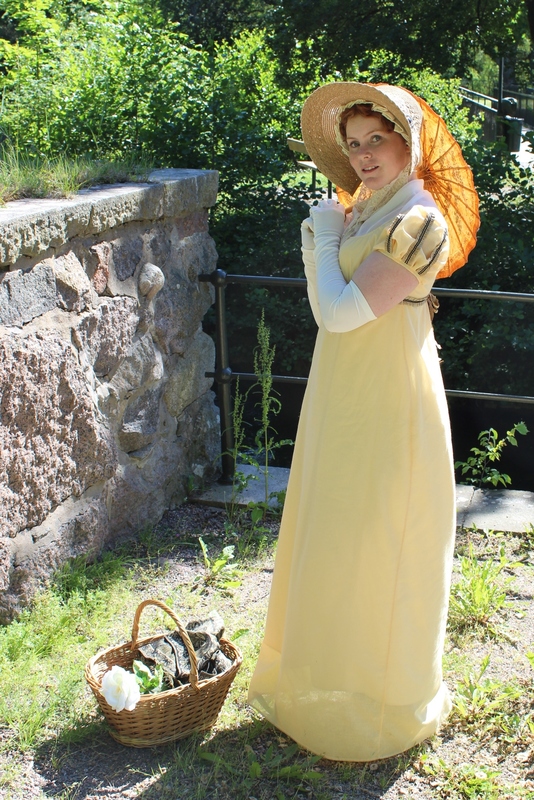 Even though the Steampunk outfit got finished months before, and the 18th century Halloween gown was planed, but never executed. 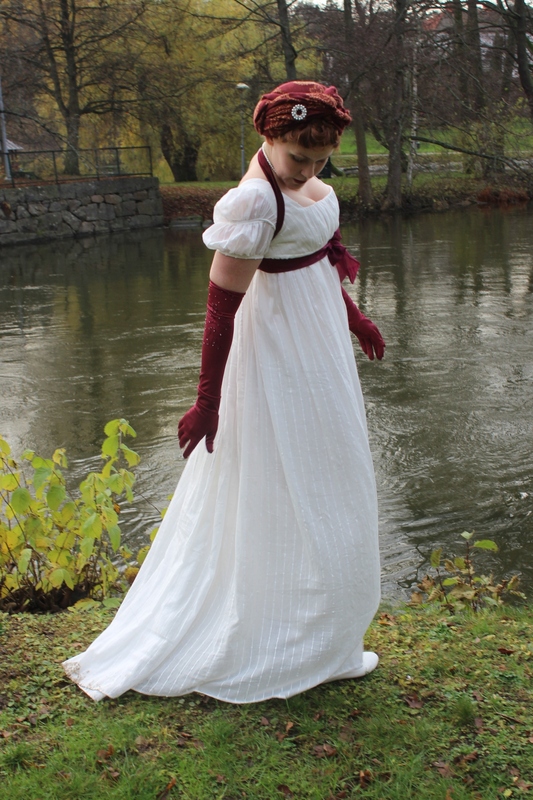 a white regency evening gown thous re-making: Black/white, Politic and Terminology. Complete: Yes, once again not fair, since I didn’t specify. This depends on what the challenge will be. (Well, obviously). Compete: So so – This was quite a cheat, since I had great planes for this challenge and only managed to finish the head wear. 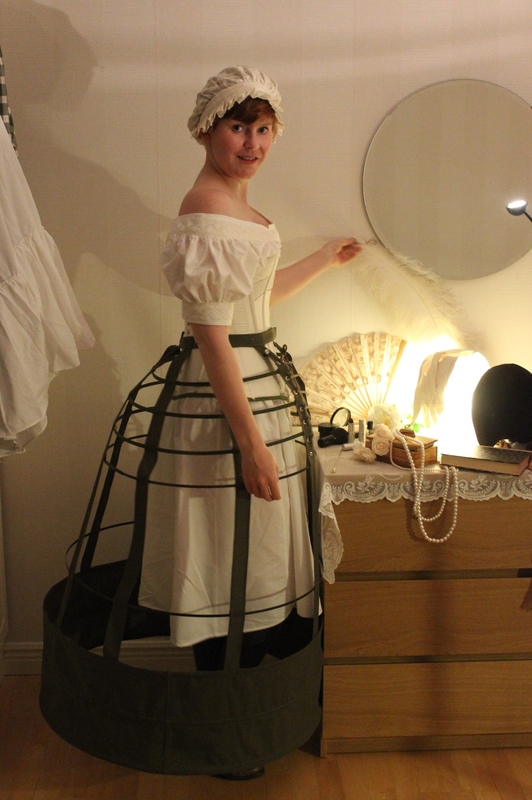 – I did to try to get the 18th century riding habit made for this one. Unfortunately it took a bit more time then estimated and I will not be finished for at least another month (but I’m hopefully looking forward to one of the new challenges in the beginning of next year…). This one is difficult, since I usually don’t wear “strange” clothing. 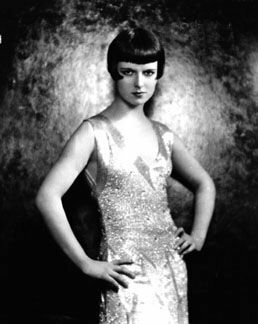 But maybe I can try some 1930s blouse or pant patterns. Or perhaps the lovely black dress from “True Blood”. 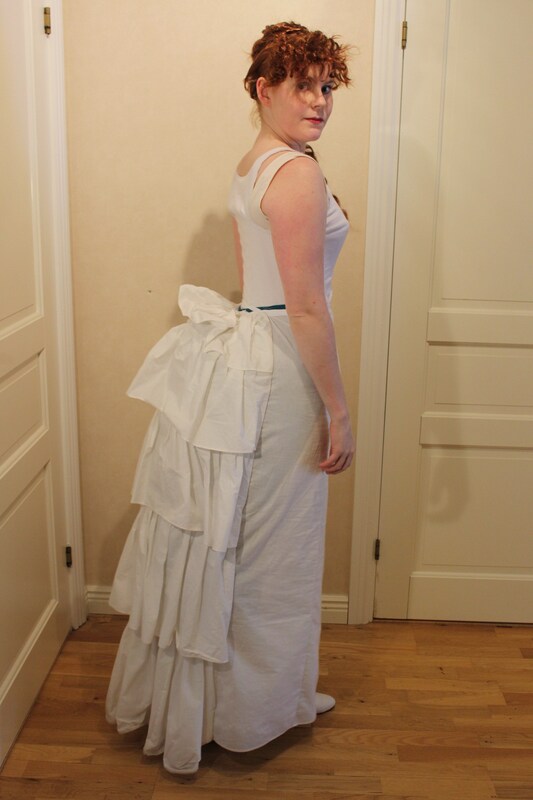 Complete: Yes – Not quite a blouse, but almost. 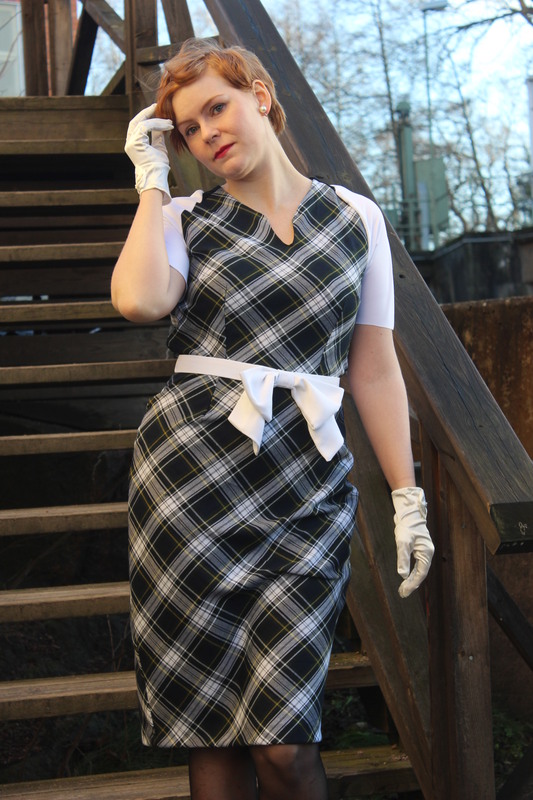 Complete: Yes – I will not wear it at New Year but otherwise I think I did pretty good. Conclusion HSF2014: Think I did very good. It is really hard to plan a whole year ahead of time, and I suppose that’s why the spring challenges are more accurate then the ones from the autumn and winter months. Even though I didn’t make every challenge according to plan, I’m still proud of myself for finishing the entire HSF14 race. 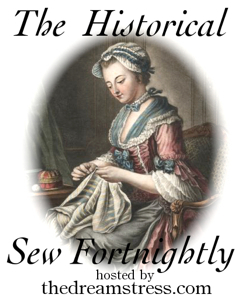 Now It’s time to look ahead to future sewing….